"Dr. Besu is among the most professional doctors that I've had." "Excellent dentist and a superb person. The staff is efficient, courteous, and helpful." "Terrific dentist and wonderful man, kind and caring. The staff is wonderful." Miami Healthy Smiles is a Miami, Florida-based practice specializing in periodontal care and dental implants. Led by Nicole Besu, DMD, MS, Jorge Centurion, DDS, and Fredric Witkin, DDS, the entire practice is committed to providing high-quality care to its dental patients in a warm, comfortable environment. The office is a state-of-the-art facility, complete with the most technologically advanced equipment, meeting all Occupational Safety and Health Administration and Center for Disease Control standards. All three periodontists are expertly trained in the latest periodontal procedures, such as: Waterlase Dentistry™ laser therapy; periodontal therapies like crown lengthening and osseous surgery; and a variety of dental implants to suit every patient’s needs. Extremely professional and understanding of their patients’ time, Miami Healthy Smiles strives to stay on time and not have to keep patients waiting. The staff prides themselves on being on time to appointments, always aware that their patients have places to be and cannot spend all day waiting for their periodontist to show up. 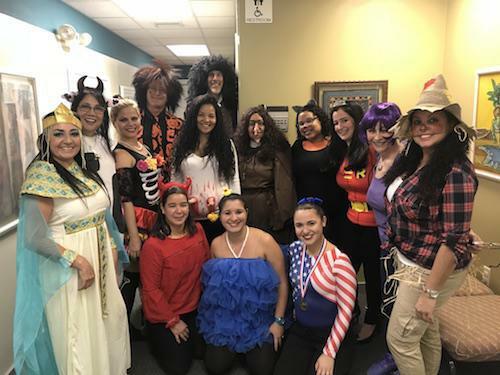 To ensure their patients leave the office comfortable and satisfied, the periodontists at Miami Healthy Smiles never double or overbook their appointments. For more information on their available services, call or book an appointment online today.